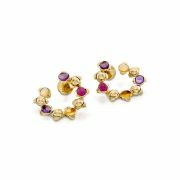 18K yellow gold hoop earrings with amethyst, pink sapphire and citrine cabochons. These beautiful hoop earrings are game changers. Up the style ante by adding to a casual white t-shirt or your favourite evening look on a hot summer’s night. 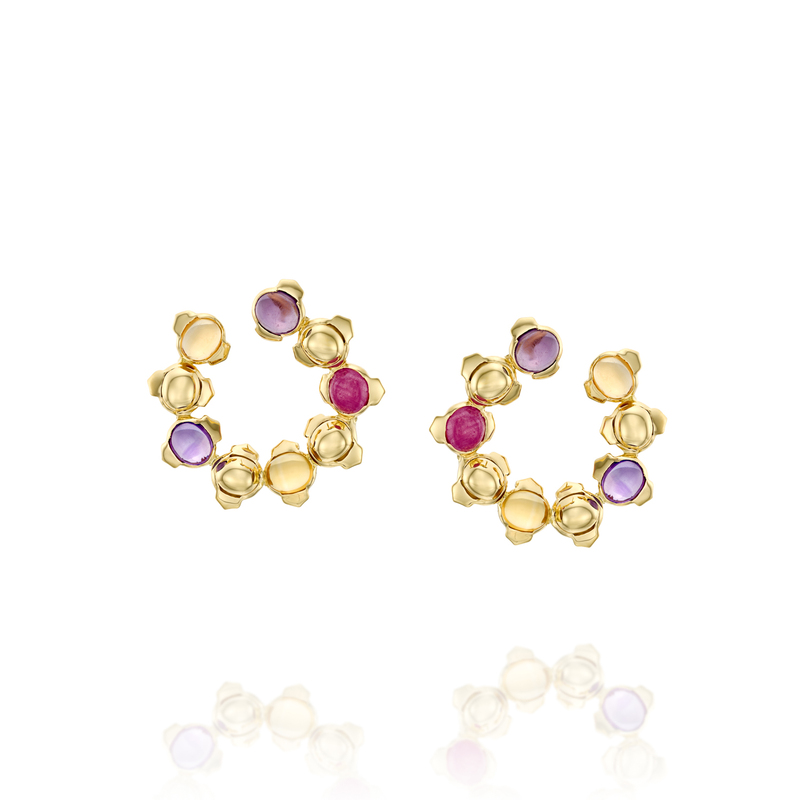 These dazzling earrings will bring playfulness to any outfit. earrings compliment the face and immediately draw one’s eyes towards your best features.